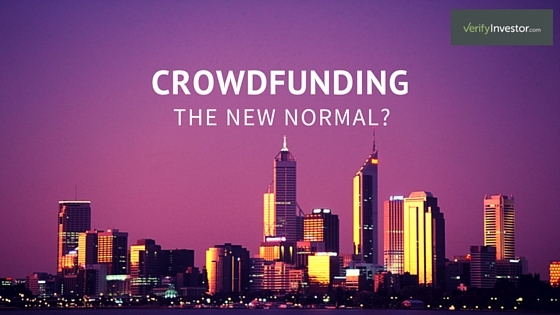 The crowdfunding phenomenon is not going away. It’s not just an American phenomenon, either, with economies across the globe increasingly participating in the democratization of raising capital. Crowdfunding’s rise over just the last few years demonstrates its increasing strength and dominance in the world of fundraising and capital acquisition. $3.26 billion puts Europe in 3rd place. Of all the crowdfunding categories, entrepreneurship and business are the most popular, pulling in more than 40 percent or $6.7 billion. There are many more crowdfunding sites and platforms for many different types of companies, industry sectors, or need. It’s an industry that has changed the face of the economy, and more growth may be expected with Title IV (recently enacted) and Title III (still pending final rules) of the JOBS Act, which will open up investor eligibility to every investor. At the moment, investors must still be accredited to participate in most types of equity crowdfunding. Visit VerifyInvestor.com for information on how to verify your investors are accredited.